There was an interesting article published in The Hill yesterday, which quotes EPA Administrator, Gina McCarthy on the issue of election-based changes in the Senate. Her comments indicate an overweening sense of confidence that public and presidential support will be more than sufficient to stop any attempts to limit EPA actions by the newly elected Republican majority in the Senate and the returning majority in the House. Time will tell whether Ms. McCarthy is correct, or if Mitch McConnell’s promise to “go to war” with President Obama over the “war on coal” will be carried out. Obviously we hope that elected officials begin to realize the importance of this nation’s coal industry and the affordable, reliable, and increasingly clean electricity it provides before EPA regulations force the closure of many more coal plants and another polar vortex potentially leaves millions freezing in the dark this winter. McCarthy also trotted out the tired argument that the coal industry is facing hardship due to “economic factors” and that the industry’s difficulties have nothing to do with EPA’s overly vigorous activities in the regulatory arena. 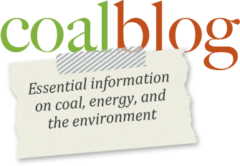 However, as I have explained before, when the coal industry is already competing in tight energy markets, ladling hundreds of billions of dollars of additional regulatory requirements and forcing the closure of hundreds of plants within a single industry effectively forces that industry out of the market and actively discourages investment or capital expenditure that might build the industry’s market share. What prudent merchant will hazard his fortunes in any new branch of commerce when he knows not but that his plans may be rendered unlawful before they can be executed? It is a basic fact that when a regulatory agency is given the power to dismantle an industry and then begins to openly wield that power, their action will have an impact on the industry that goes well above and beyond the normal vagaries of free market competition and Ms. McCarthy is well aware of that fact. Ms. McCarthy may have inside knowledge to which the remainder of the nation is not privy and that may be the source of her already noted overweening confidence. However, the recent mid-term election appeared to send a very clear message from the public to the existing power structure in Washington. Campaign wrangling made it abundantly clear that a significant portion of the message being sent was based in the nation’s concerns over a flaccid and ineffective energy policy. The public stated loudly and clearly that the regulatory brakes being put on American industry and its work to develop our much needed fossil fuel resources needed to be changed. For Ms. McCarthy to pretend that the public is wholly behind the EPA’s attacks on energy development and that EPA’s regulatory activities have little to nothing to do with the pressures the coal industry faces is either naive in the extreme, or treats the public as too stupid to realize what is going on directly in front of their faces. Neither option is a good fit for the Administrator of a major government agency.